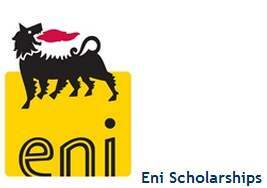 Eni Scholarship 2013-2014 - St Antony’s College, University of Oxford, in partnership with the global built-in energy corporate Eni, is offering 3 scholars from Angola, Nigeria and Ghana the chance to review for an absolutely funded Master's stage in 2013-14. This may permit St Antony’s to admit some of the easiest African students irrespective of means and will upload immeasurably to the various and highbrow character of the College. This is part of a joint initiative between Eni & St Antony’s School to spend money on and fortify African leadership. St Antony's and Eni are similarly prepared to supply encouragement and the place conceivable, dependent incentives for Eni Scholars to continue their research or to find helpful employment back in their home United States after graduating from Oxford. Discussions about this are ongoing and scholars will likely be informed of relevant contacts and partnerships as they emerge. The scholarships are open to applicants who are ordinarily resident in Angola, Ghana or Nigeria. Preference will be given to applicants whose first degree is from an African university. The scholarships will be awarded on the basis of both academic merit and potential, and financial need. Preference will be given to applicants who have clear ambitions to use their accumulated learning to benefit their home country after graduation. 100% of university and college fees, and an annual grant for living costs (the rate was £12,900 for 12 month courses and £9,675 for 9 month courses in 2012-13). 1. In order to be considered for this scholarship, you must first submit your application for graduate study by the 8 March 2013 deadline. and you must have secured a conditional or unconditional place on your chosen programme of study by the department's final decision date (26 April 2013). It would help if you select St Antony's College in the ‘college choice’ section of the application form, though this is not compulsory. 2. After you have submitted your application for graduate study, you may then request an Eni Scholarship application form. You must include your Oxford application reference number when you request the application form as evidence that you have submitted an application for an eligible course. Please email Kirsty Norton, Assistant College Registrar, assistant.registrar@sant.ox.ac.uk. 3. The completed application form must be returned to Kirsty Norton by 22 March 2013. 4. Please note that applications with outstanding admissions decisions after the department's final decision date of 26 April 2013, or applications which are re-evaluated against any later deadline, are not eligible for scholarship consideration. 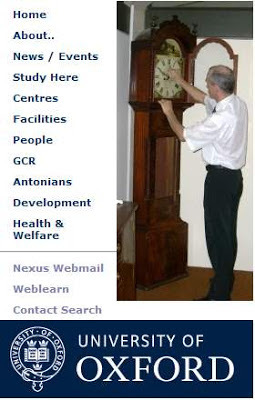 Following a meeting of the Eni selection committee at St Antony’s College, we expect to be able to email successful candidates by early May 2013. If you have any questions about this scholarship which are not answered above, please email Kirsty Norton, Assistant College Registrar at assistant.registrar@sant.ox.ac.uk.